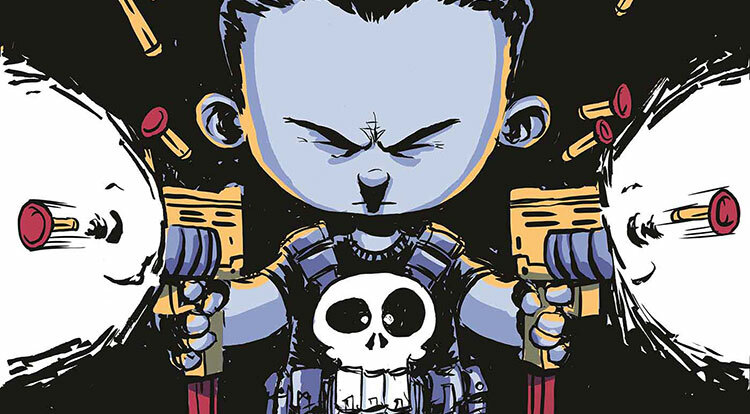 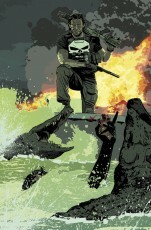 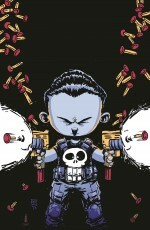 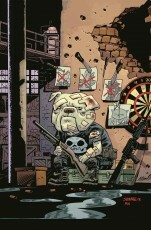 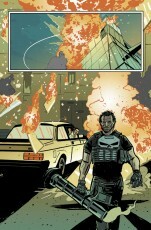 Frank Castle returns in an all new number one issue of Punisher. 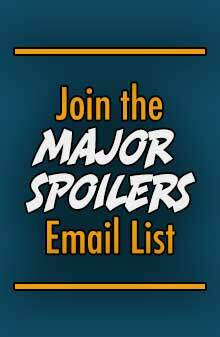 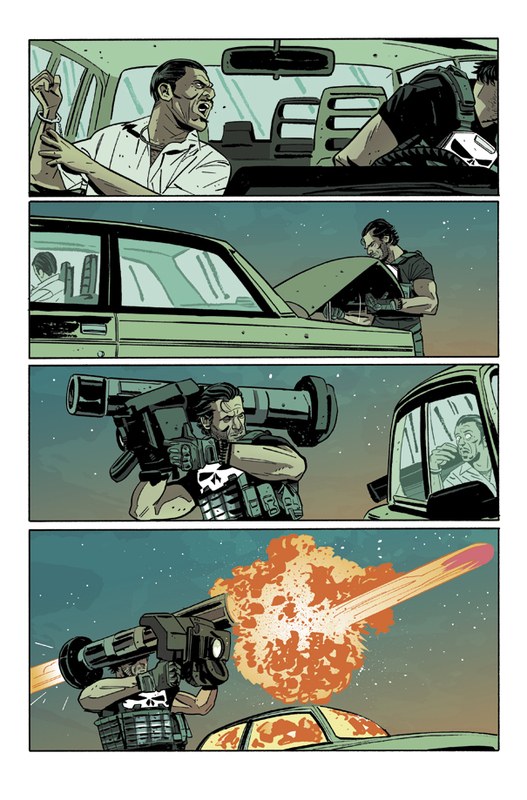 The creative team of Nathan Edmondson and Mitch Gerads brings the title to us, and Marvel sent a sneak peek for you to check out. 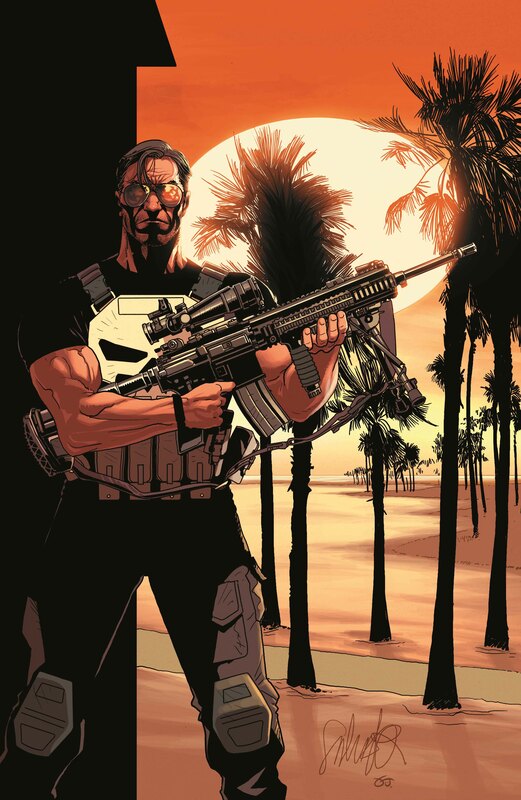 For years, the Punisher has called New York City his home – keeping a watchful eye on the city through the sight of a gun. But when a lead on a major source of drugs, weapons, and more leads Frank out west – he sets his sights on Los Angeles. 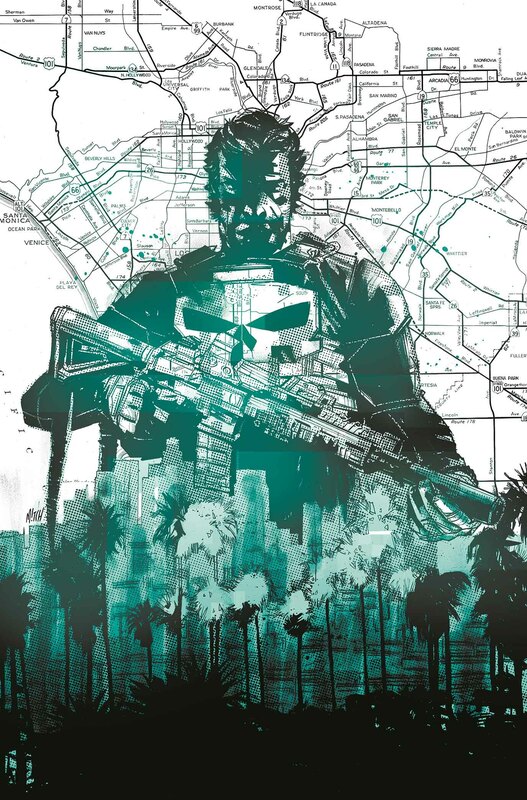 And the City of Angels isn’t ready for a devil like the Punisher! 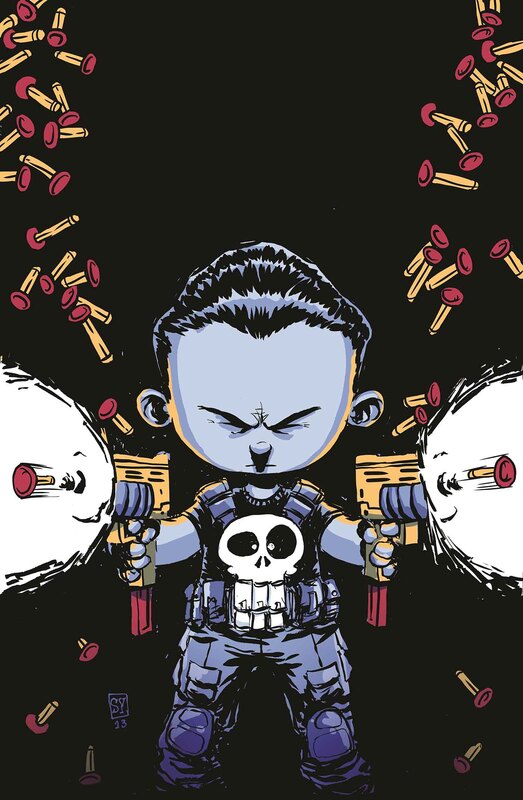 But not everything is as it appears, and Frank will soon find himself toe-to-toe with a highly trained military strike force known only as the 131! 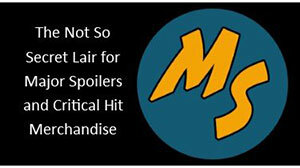 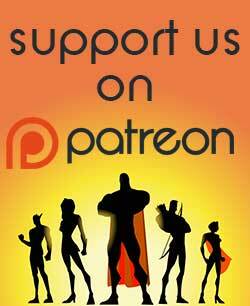 Who are the mysterious 131? 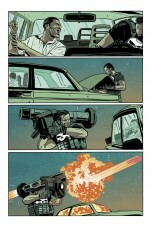 And why are they out for the Punisher’s head? 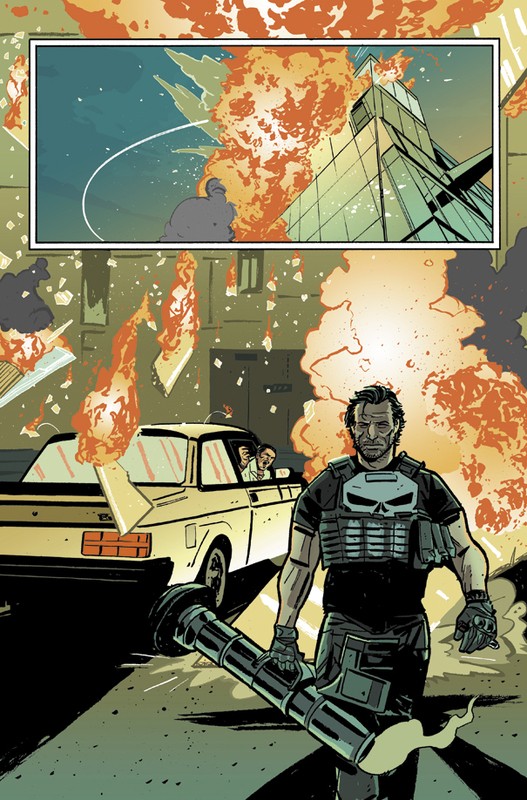 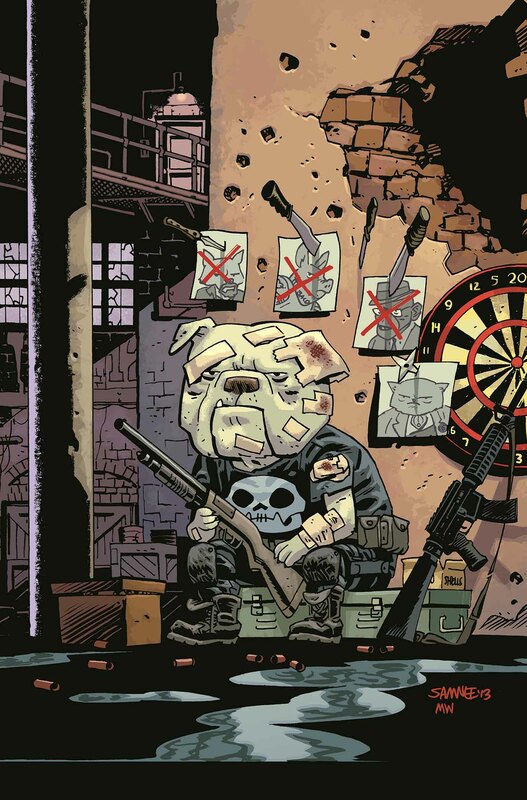 The Punisher #1 arrives February 05, 2014.